“I choose a block of marble and chop off whatever I don’t need,” said French artist Auguste Rodin, the creator of The Thinker, one of the most recognized works in sculpture. This year marks the centenary of his death. In celebration several museums are organizing exhibits to pay tribute to the sculptor who was known for his faithfulness to the truth and refusal to idealize his subjects. All united by the hashtag #Rodin100, these events are worthy to be included in any art fan’s calendar. Man and His Genius. All photos are courtesy of the museums mentioned. 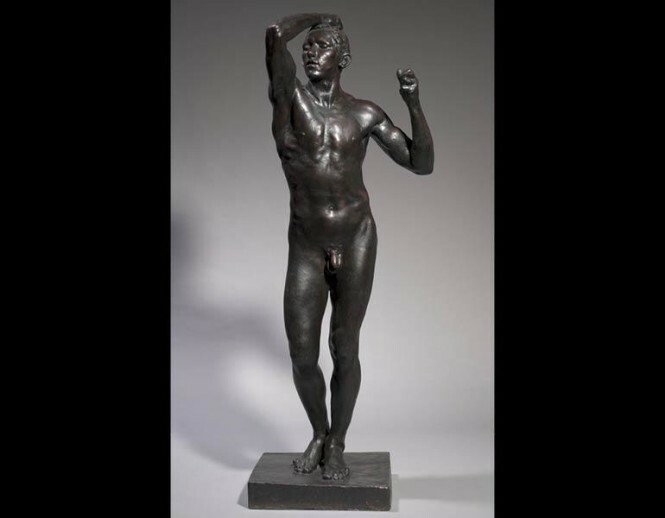 The Berlin museum will have an exhibit focusing on a relatively unknown Rodin work, the bronze statue Man and His Genius. The statue, of a man giving birth to a woman, is closely linked with two great writers, Austrians Rainier Maria Rilke and Hugo von Hofmannsthal. The latter owned a bronze version of the statue for years, until financial difficulties forced him to sell it. Rilke arranged to have it sold to a Swiss collector; it later found its way to the Nationalgalerie. To be held on November 11 to March 18, 2018, the exhibition will also showcase several pieces from Musée Rodin and Kunsthalle Bremen. Visitors will also see letters, manuscripts, and photographs which once belonged to Rilke and Hofmannstahl. 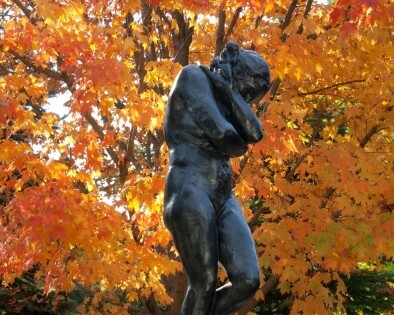 Located in the city’s Wade Park District, the museum has more than 40 pieces spanning Rodin’s career. This includes one of the Thinker sculptures first acquired in World War I (the piece was severely damaged by a bomb in 1970). In an exhibit happening from September 1 to May 13, 2018, visitors will see the museum’s entire collection, comprised of pieces donated by prominent Clevelanders and Rodin himself. See Cleveland’s version of The Age of Bronze and the plaster-made Heroic Head of Pierre de Wissant. The Grand Rapids-based Meijier Gardens will celebrate the centenary by showcasing Rodin’s works alongside the sculptures of European and American artists whom he has influenced. Occurring from September 15 to January 7, 2018 in Michigan, the exhibit will showcase the Gardens’ The Kiss. Other than the exhibit, guests can participate in an illustrator-led sketching workshop of the grand master’s Eve (October 6). 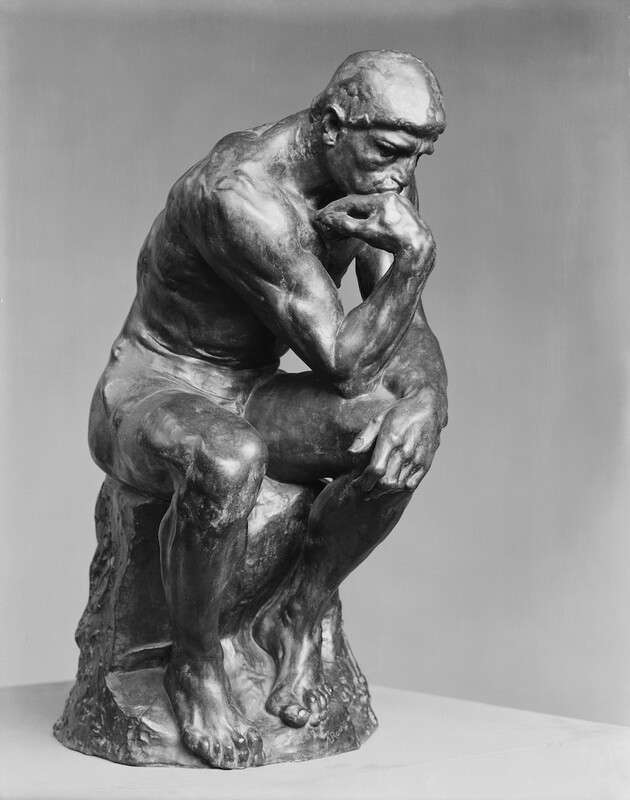 Or join a session led by chief curator Joseph Becherer (November 5) where he will discuss Rodin’s impact on modern art. New York will not miss the centenary celebration thanks to the Met’s exhibition happening from September 16 to January 15, 2018. The revered institution has acquired more than 50 marbles, bronzes, plasters, and terracottas made by Rodin, all of which will be displayed during the exhibit at the newly renovated gallery 800 on Fifth Avenue. Get to see his masterpieces The Thinker and The Hand of God. The rarely displayed The Tempest will be presented as well, including paintings by Rodin’s contemporaries Claude Monet and Pierre Puvis de Chavannes. The sculptor was a methodical worker who made sketches of his subjects first before casting his sculptures. These drawings will be displayed in the adjacent gallery 809 including photographs of him and his works. The section will showcase the development of Rodin’s illustrations and his relationship with photographer Edward Steichen, who played a significant role in introducing his work to New Yorkers.